5A North Region Quarterfinal: Broad Run 0, Patrick Henry 0, top 1st, suspended. Game to resume Wednesday at 2pm. 4A South Region Quarterfinal: Hanover 1, King's Fork 0, bottom 3rd, suspended. Game to resume Tuesday at 4pm. 5A North Region Quarterfinal: Tuscarora 0, Patrick Henry to bat, bottom 1st, suspended. Game to resume Tuesday at 5pm. --Lee-Davis 3, Prince George 0, bottom of 4th, suspended. Game to resume Tuesday at 5:30pm. 4A South Region Quarterfinal: Hanover 1, Denbigh 0, suspended late first half. Resumes Tuesday afternoon at 5:30. 5A North Region First Round: J.E.B. Stuart 1, Patrick Henry 0 (Game called in 52nd minute due to lightning). Zach Palmer of Hanover d. Grayson DeBerry of Jamestown, 7-6 (7-4), 5-7, 6-3 in 4A South Boys Region Semifinal. Will face Matthew Cousins of Midlothian for region title on Wednesday morning. 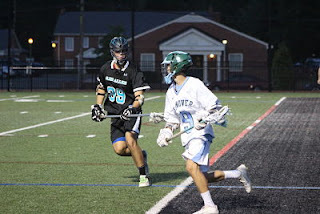 The Hanover Hawks boys lacrosse team will go to Salem to face the Spartans, who won the Roanoke Conference title, in the 4A South Region quarterfinals this Friday. Match time is 5:30pm. Here are directions from Hanover to the school. Allow extra time for traffic. --Go 0.8 miles on Main, Turn Left on Spartan Drive. Go 1/3 mile, school is on the right. 1) Tarel Cisneros-Harrison (Douglas Freeman): 21' 5 3/4"
2) Blake Stattelman (Lee-Davis): 21' 1 1/2"
3) DJ Petty (Lee-Davis): 20' 9 1/2"
4) De'Andre Henderson (Highland Springs): 20' 9 1/4"
5) Richard George (Douglas Freeman): 19' 9"
1) Tarel Cisneros-Harrison (Douglas Freeman): 41' 11 3/4"
2) Ryan Niblock (Mills Godwin): 41' 11 1/2"
3) DJ Petty (Lee-Davis): 41' 7 1/4"
4) Brad Wyatt (Deep Run): 41' 1"
2) Duncan Goodrich (Mills Godwin): 6' 2"
5T) Craig McElroy (Henrico): 5' 10"
5T) Zionte Brown (Hermitage): 5' 10"
1) Austin Cannon (Atlee): 52' 10 1/4"
3) Saije Daniel (Highland Springs): 47' 7 1/2"
4) Connor Scott (Lee-Davis): 47' 7"
2) Connor Scott (Lee-Davis): 159' 4"
3) Randall Claytor (Atlee): 121' 5"
4) Raequan Dalton (Hermitage): 119' 2"
5) Sulaiman Kamara (Hermitage): 112' 5"
4) DJ Petty (Lee-Davis): 11' 6"
1) Zaliah Carey (Atlee): 17' 1 1/4"
2) LaChyna Roe (Henrico): 16' 7"
3) Marissa Linkous (Highland Springs): 16' 1 3/4"
4) Rebekah Greene (Mills Godwin): 15' 11 1/2"
5) Dymiere Jeffrey (Henrico): 15' 10 1/4"
1) LaChyna Roe (Henrico): 37' 10 1/2"
2) Jantsen Wilson (Henrico): 36' 11 3/4"
3) Amani McFadden (Henrico): 35' 9"
4) Rebekah Greene (Mills Godwin): 34' 11 1/2"
5) Mckenzie Spencer (Henrico): 34' 9 1/2"
1) Carly Feyerabend (Atlee): 5' 4"
2) Dymiere Jeffrey (Henrico): 5' 1"
4) Sydney Davis (Hermitage): 4' 10"
2) Eryka Rasheem'i (Henrico): 33' 4 3/4"
4) Raine Wilson (Atlee): 31' 2"
5) Olivia Tuck (Lee-Davis): 30' 10 1/2"
1) Olivia Tuck (Lee-Davis): 101' 11"
2) Raine Wilson (Atlee): 99' 2"
3) Rebecca Webb (Douglas Freeman): 95' 6"
4) Destini Walker (Hermitage): 93' 4"
5) Emily Mead (Deep Run): 91' 11"
2) Jordan Lipinski (Lee-Davis): 10' 6"
4) Yomna Soliman (Lee-Davis): 9' 6"
The four-team 4A South Region "Richmond Conference" Tournament seedings are set. 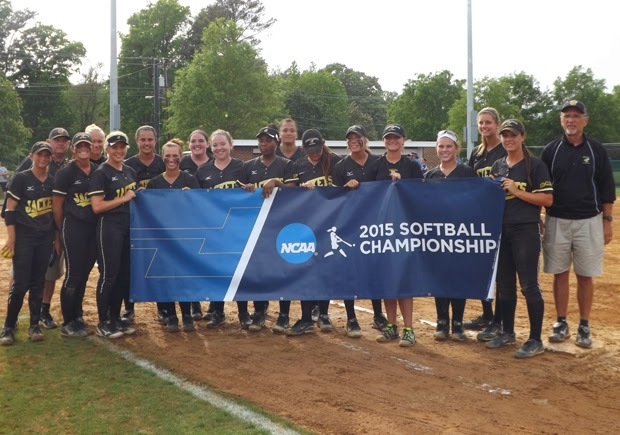 All matches will take place at Day Field on the campus of Randolph-Macon College in Ashland. Championship matches will be on Monday at Randolph-Macon, 4pm for the girls, 6pm for the boys. CLICK HERE to listen to tonight's Top 10, Conference 20 showdown between the Hawks and Jaguars on our YouTube Channel! Atlee High School announced Thursday night that Ryan Molloy, who currently serves as Activities Director at Mills Godwin High School in Henrico County, will become the new AD at Atlee effective July 1st. Molloy will replace Dave Kannewurf, who announced last month he would be leaving for a similar post at a private school in Hawaii. Kannewurf tells RVA Sports Network he expects to leave by the end of the month to begin his new position. We welcome Mr. Molloy to Raider Nation! It's Rivalry Night at Hanover, while Patrick Henry and Atlee roll into district action. For the first time in school history, the Randolph-Macon Yellow Jackets softball team will participate in the NCAA Division III Tournament beginning this afternoon. The winners of the Old Dominion Athletic Conference (ODAC) Tournament two weeks ago, the Yellow Jackets (26-10) square off in the first round of the double-elimination Newport News Regional at 1pm against the RoadRunners of Ramapo College (28-12-1), winners of the New Jersey Athletic Conference. The winner advances to the second game on Saturday in Newport News in the championship bracket versus the winner of today's second game between host Christopher Newport and Salem College. The loser faces the loser of the second game in the third game of the tourney in the elimination bracket Saturday morning. Follow LIVE on Twitter on @hanoversports for complete coverage of today's opener after 1pm. Due to Music In The Park, please note the following from the PH administration. The parking spaces at the front of the senior lot, next to the grass, will not be available. Several spaces in the senior lot will be blocked off. The loop in front of the school will not be accessible. The first row of the senior lot will not be accessible. Parents dropping off students will be directed to the second row in the senior lot. Please follow the directions of the NJROTC cadets who will be directing traffic. The event should end by 1 p.m., at which time all restrictions will be removed. Thank you for your cooperation. 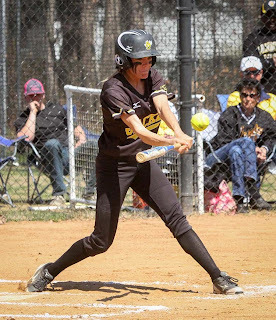 There are plenty of details left to come, but as of now, with just over two weeks left in the regular season for spring sports (less for tennis), here is a look at what we know concerning Conference 11, 16, and 20 Tournaments. PLEASE note these are TENTATIVE schedules and certainly could change over the next few weeks. NOTE: Some events take place during Memorial Day Weekend. Pay particular attention to May 22 (Friday) and May 25 (Memorial Day).